NOTE: Conventional Hay Bales are NOW in stock!! Why not work with true supplementary feed professionals! Don't leave the quality of the supplementary feed you get simply to chance. We grow, monitor, harvest and organize delivery of supplementary stock feed to where you need it on the farm! and if we havent got it, we will try and source it from one of our many trusted suppliers for you! We supply top quality Maize silage, Barley Straw, Wheat Straw, Threshed Rye straw, Pea-vine hay, Meadow hay,Lucerne hay, Horse hay, Annual Silage, Rye Clover silage, Lucerne silage. 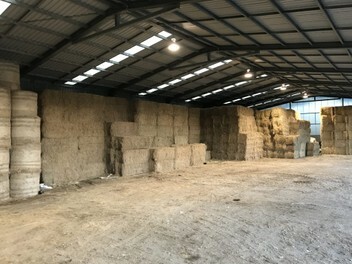 Round ,square also conventional bales can be supplied. or visit our website www.billwebb.co.nz for further information or to lodge an inquiry. BILL WEBB, YOUR TRUSTED FEED SOLUTIONS PARTNER!